1.When installed on the cement road, the bricks of well mouth are built in C25 concrete with thickness of 20cm,as well as semi-diameter 40cm concrete protection is built outside lasting for 10days. 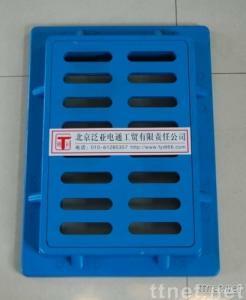 2.When installed on the asphalt road, you should prevent the machine directly grinding covers. 3.To keep the outlook of covers beautiful and the marks clear, You should take care of the surface in case dirty when cast into asphalt or cement. 4.After casting the well tray in concrete or in asphalt, you should clear the covers in time and avoid casting into the cover ,grating and tray in mortar or in asphalt, so as not to affect open in the future.